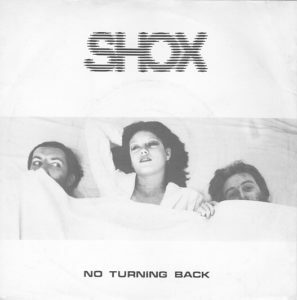 This entry was posted on November 2, 2007 at 8:35 pm and is filed under 1980, 1980s, 4ad, british, shox, synth, wave . You can follow any responses to this entry through the RSS 2.0 feed You can leave a response, or trackback from your own site. nice! i just picked up a copy of this at a record store in vienna for about two dollars. i adore both these songs – and it’s odd, a lot of 4ad collectors (guiltily admits, i’m one) hate it. such people are shitheads. both tracks are utterly fantastic, and this post has inspired me to try to find what happened to hem. hard to believe they could do something this good and never work again. and, here you go. she did two singles as a band “intro,” and then a single or two and an album solo. Just recently discovered your excellent blog. There’s some great stuff on here. I’m going to add a link on my blog (unless you object for some reason). excellent! i’d love to have some of these initial 4ad singles in tangible form…some of them are really tough to come by. $2 is a steal. i’ll try to track down some Fingerprintz material to post shortly- thanks for the info! and mick- thanks in advance for the link! i shall add you swiftly as well.